One of the most encouraging things than anyone can do for us is to pray for us. Even greater is the truth of God’s Word, that Jesus is praying for you. He’s praying for me. Hebrews 7:25 tells us, “He is able to save completely those who come to God through Him, since He always lives to intercede for them.” Jesus, our Great High Priest, lives to intercede for His faithful followers. 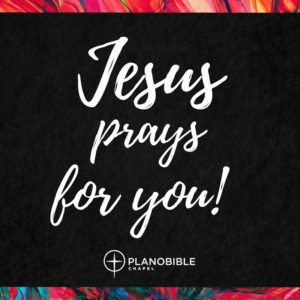 So what does Jesus pray about for us? When Jesus prays for us, what is on his heart? What is on his mind? His prayer in John 17 gives us some specific clues and great insight into Jesus’ intercessory ministry. He prays that we will have the same loyalty, the same security, the same mission, and the same unity, and the same relationship that He has with the Father.